Obesity is a major global problem because it creates physical and emotional disturbances. Excessive weight or obesity can cause physical complications like diabetes, stroke, and heart disease. The public knows that they need to live a healthier lifestyle to become healthy and fit. However, most people especially those who are living in urban areas can’t find enough time to practice healthier living and stress engulf their lives often. Weight loss drugs are created because of this alarming situation. Dexfenfluramine and phentermine are among the weight loss drugs that will go down in the annals of medical history. Dexfenfluramine or dexfenfluramine hydrochloride, as it is marketed, is a kind of serotoninergic anorectic drug. It increases extra-cellular serotonin amount in a person’s brain. It has a similar structure to amphetamine. However, it does not stimulate a person psychologically. It has been told that the medication can manage obesity and weight loss maintenance if combined with calorie-reduced diet. However, the effectiveness and safety of dexfenfluramine have not been determined. A person who wants to use dexfenfluramine must tell a physician if he has thyroid disease, liver disease, heart disease, diabetes, high blood pressure, sleeplessness, and if he has allergies to preservatives, dyes, foods, and medicines. Dexfenfluramine therapy was associated with reduced appetite. 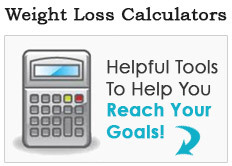 A person who uses the medication will feel full and would have a lesser desire to eat. The medication was tried in a year long clinical trial on more than 900 people. 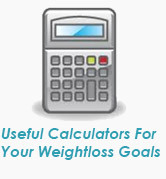 People who have taken dexfenfluramine and practiced lesser calorie diet lose weight significantly than others. The treatment helped the subjects lose excessive weight on the first 4 to 6 months of medication, and it was maintained on the first year of treatment. People who use dexfenfluramine lose significant weight than people who are losing weight solely on diet. However, there are problems with dexfenfluramine. During the clinical trials, it was observed that dexfenfluramine usage can cause side effects like dry mouth, diarrhea, and drowsiness. The Food and Drug Administration in Unites States approved Dexfenfluramine as a weight loss drug for several years in mid-1990s. But after several issues about the drug’s cardiovascular effects, its endorsement was stopped, and was retired from circulation in 1997. After its U.S removal, dexfenfluramine was also out in major global markets. 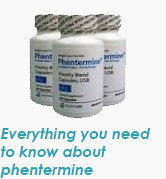 With so many issues and discovered negative side effects of other weight loss drugs introduced in the market, Phentermine was able to withstand criticisms and scrutiny. 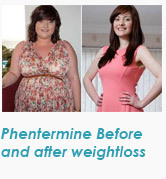 Phentermine as an appetite suppressant drug works effectively in reducing weight. However, people who take phentermine are advised to practice proper exercise and consistent healthy diet for effective weight loss. 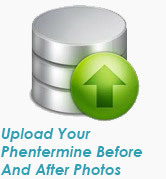 Phentermine is also an effective remedy to health problems associated with obesity like high blood pressure, high cholesterol, and diabetes if taken properly. 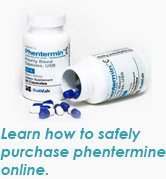 However, phentermine must not be used with other diet medications and without a physician’s advice. It can interact with other prescription medications. This weight loss drug must not be shared with others, especially to people who have history of drug abuse. A doctor’s advice is important before stopping phentermine usage because the person can experience withdrawal symptoms. People who have hectic schedules for gym or home workouts, and those who don’t have time to cook healthy foods are the ones who are advised to use weight loss drugs. 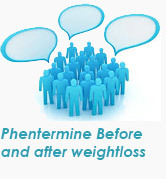 Weight loss drugs like phentermine have genuine benefits. There are lots of positive testimonials about weight loss drugs, but those stories came from people who are living a healthier lifestyle besides taking weight loss drugs.